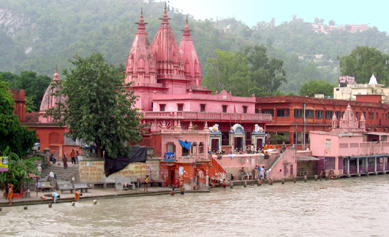 Haridwar Rishikesh with Agra Mathura Vrinadavan tour package is very popular with tourists because it includes five popular cities such as Haridwar, Rishikesh and Agra, Mathura and Vrindavan. These five cities have so many interesting places & things to do. Tourist can experience Mughal architecture, forts & art at Agra. Temples can be visited at Mathura & Vrindavan. Ashrams, Hindu culture & wild life can be experienced at Haridwar & Rajaji Nattional Park. Yoga, Meditation, Rafting, Camping & Bungee Jumping is enjoyed at Rishikesh. Rivers Ganga & Yamuna are also major attractions at these cities. Welcome to your “Dev Bhomi Uttarakhand” Tour!Arrive at New Delhi and transfer to Haridwar your hotel. Evening Ganga Arti at Har Ki Pauri. Overnight stay at Hotel. Morning after breakfast visit devo bhomi ” Chandi devi temple , Mansa devi temple,Dakhmhadev temple, Shri yatra Mandir, Hari har mercury shivling evening Ejoy Hari ki puri Ganga arti and back your hotel to Over night at hotel. Morning after breakfast visit Rishikesh Laxmanjhula, Ramjhula, 13feet shivling, Trivnighat, Satnarayan temple, Jain temple, Pawan dham temple, and evening enjoy Parmarth Niketen ganga Arti and back to hotel in Haridwar. Over night at Haridwar. Morning after breakfast leave for Mathura. Check into your hotel. Day free for relax your body. Over night at hotel. 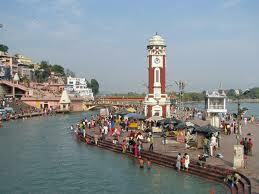 Morning after breakfast local visit Mathura and Virandavan and evening back your hotel. Overnight at hotel. Morning after breakfast local visit Red fort and Taj Mahal and evening back your hotel. Overnight at hotel. After breakfast local sightseeing and leave for Delhi or Haridwar Drop at Railway Station or Airport. Go With Your Sweet Memories.